We recently announced Traps 5.0 cloud-delivered advanced endpoint protection and there is already quite the buzz! 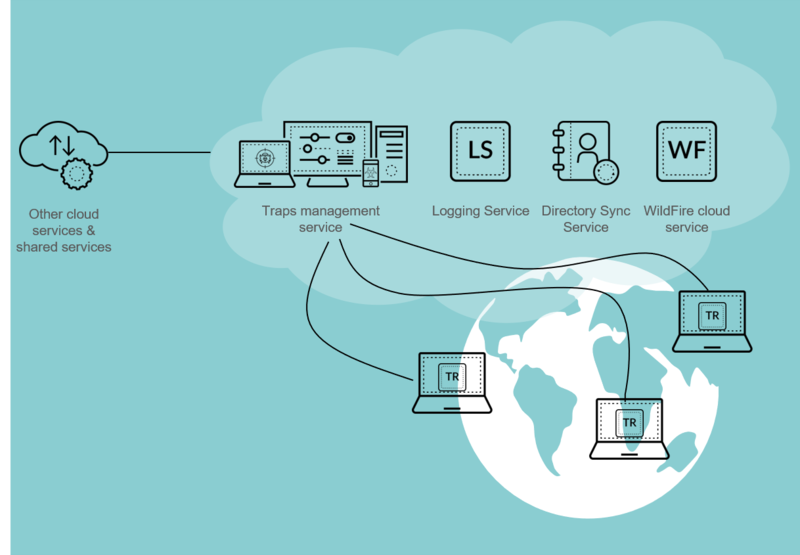 Cloud-delivered service—The Traps management service streamlines the deployment of your endpoint security infrastructure, thus eliminating the need to build, manage, and maintain management servers. Integration with the Logging Service—Centralizes Traps log collection for event management, threat hunting, and incident response. Streamlined user interface—Easy-to-use dashboards to help surface critical information, events, and workflows. Traps OS support extended to Linux servers—Enables customers to protect critical data center and public cloud workloads. Proactive scanning—On-demand or automated scanning to identify dormant malware before it attempts to run. New consolidated Traps landing page for both Traps management service and Traps Endpoint Security Manager. Compatibility Matrix—Lists the operating systems, virtual desktops, and virtual applications supported with Traps 5.0. Traps management service and Traps 5.0 Release Notes—Provides important information about Traps including known issues, addressed issues, and known incompatible security products. Traps Management Service Administrator’s Guide—Includes instructions on migrating from the Traps Endpoint Security Manager, activating the Traps management service, and configuring your endpoint security policy. Traps 5.0 Agent User Guide—Describes the requirements and how to install and use the Traps 5.0 agents (including Traps for Linux) supported with the Traps management service.